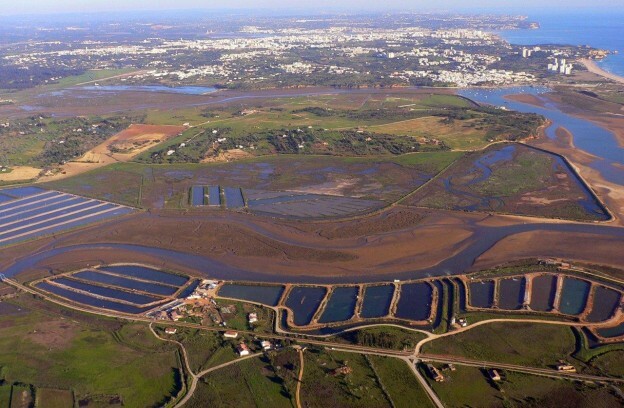 The Alvor Estuary is one of the most important coastal wetlands in Southern Portugal. This rich ecosystem includes sand dunes, mudflats, salt marshes and Salinas, supporting a diverse, specialised flora and fauna. Over the last twelve years, A Rocha Portugal has been leading a prolonged legal campaign to protect the site from inappropriate and illegal developments proposed by a private company (now called Water View, S.A.) that owns the nearby Quinta da Rocha estate. In 2015, the Criminal Court of Portimão convicted Water View of environmental damage and also found the company guilty of disobeying a Court ruling. It was fined €140,000. Water View has appealed against this ruling on various occasions, without success, and a decision is still due to be made on its final appeal. The Central Administrative Court has also upheld a conviction for purposeful environmental damage at Quinta da Rocha in 2014 when groundworks were started illegally. That Court decided that Water View is legally obliged to restore the area and banned it from changing the landscape or building on the protected habitats and species in the future. When Water View submitted its environmental restoration plan to the required authorities, it became clear that it had incorrectly mapped the area and missed the fact that Quinta da Rocha contains habitat internationally-recognized for its conservation value – something that changes the nature and scale of the required restoration work. Without consulting with the relevant stakeholders, representatives of two regional authorities formally accepted Water View’s plan. Please, if you pray, do ask that nature will be restored and that Ria de Alvor will be protected against any further damaging development plans.